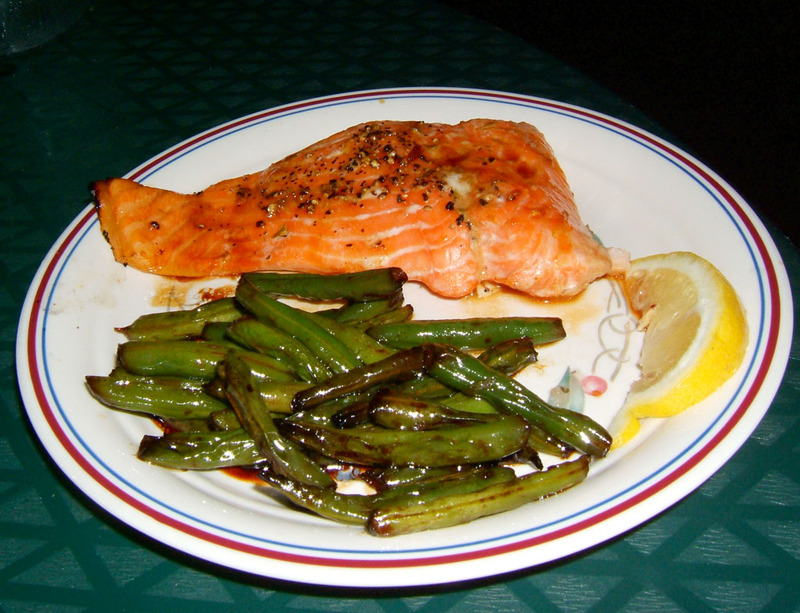 I had planned to make teriyaki shark tonight because shark was advertised on sale. I bought the beans yesterday. 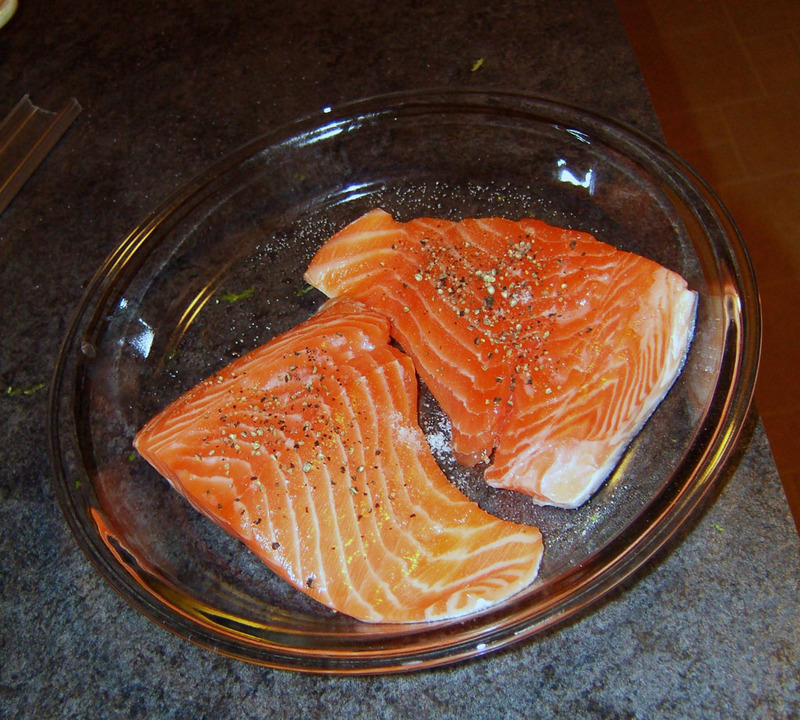 When I tried to buy the shark today, I found that they were sold out for the day (but might have more tomorrow, even though technically this was yesterday based on what the clock reads), so I bought Salmon instead since I didn’t want to give up plans of having fish. I then proceeded to cook and attempt to take pictures after dark. And this was actually a somewhat early time. I had to pick my car up from the shop, so I used that as an excuse to leave work early. For the recipe, look here. Final dish, plated on our picnic table. 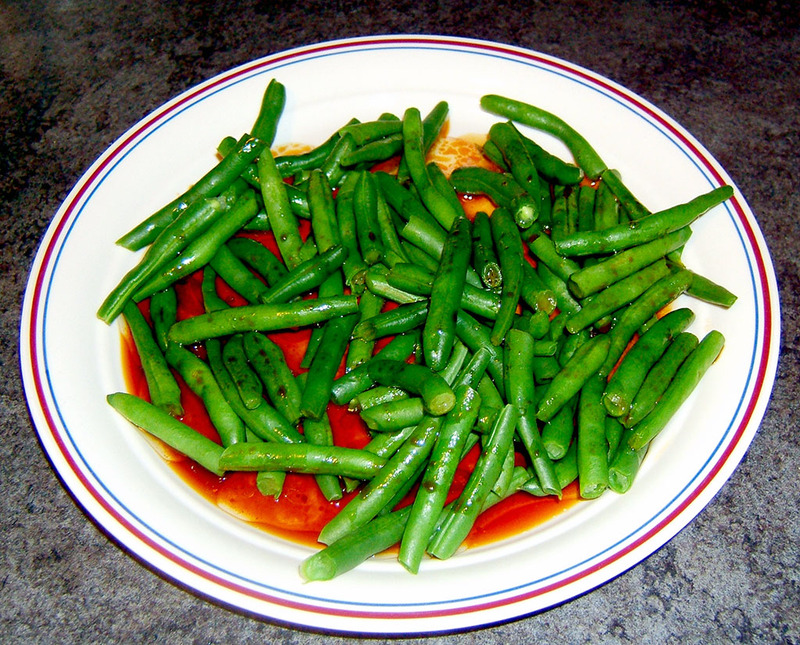 Green beans, blanched and coated in oil and soy sauce. 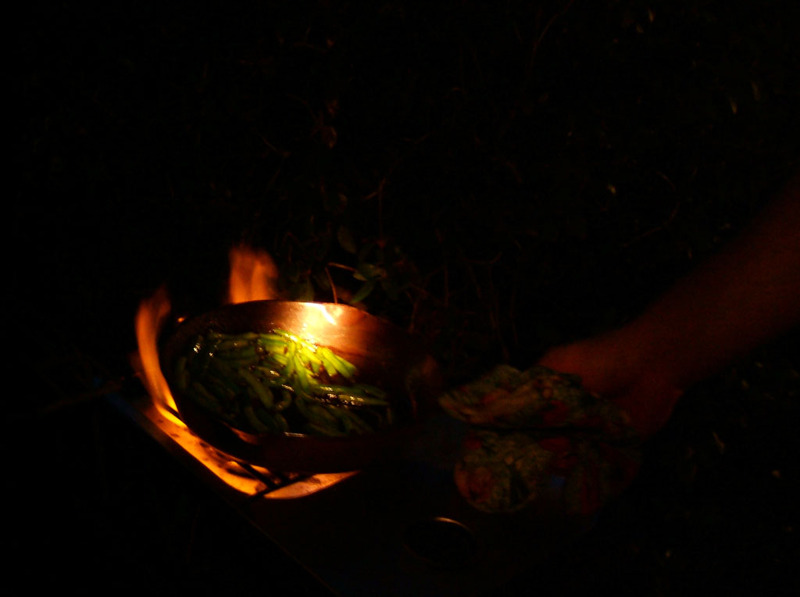 Green beans on the side burner of my grill. Deb was trying to capture dramatic flames from the oil spritzing over the side as I shook the pan. 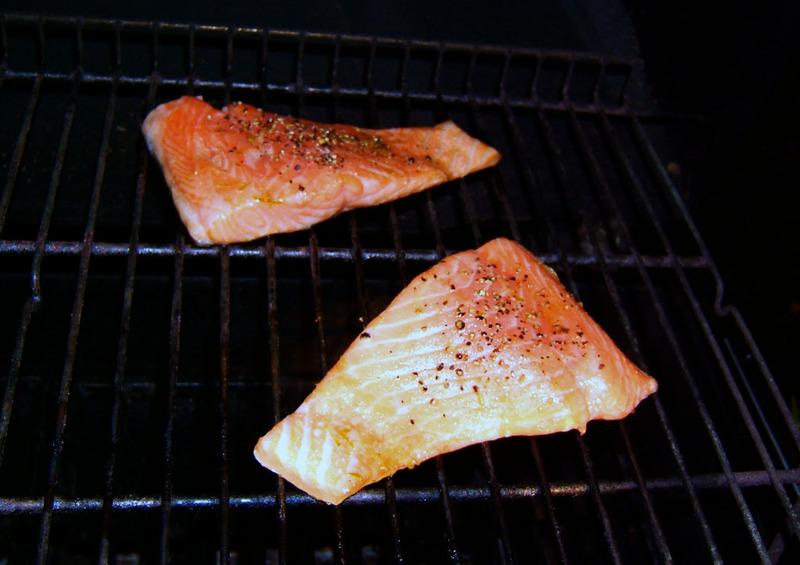 Salmon on the upper rack of the grill.